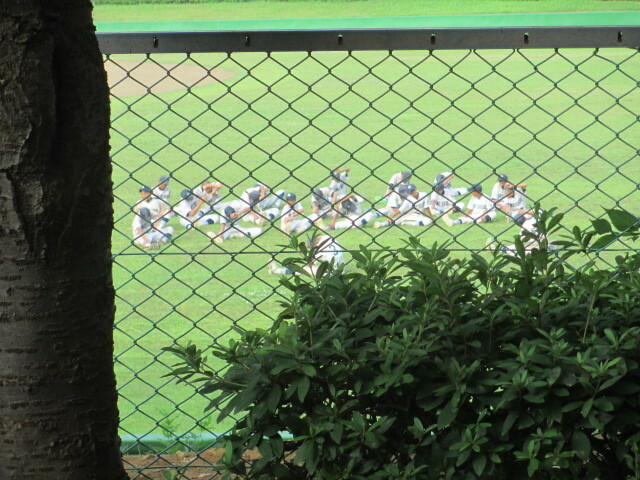 We are playing baseball with some team. However, I am not a player. I am not a director, so is I a coach? Or I may be just a spectator. Regardless of the infield, the outfield is full of grass. There are places where flowers are blooming as bushes. It is hard to find out if the ball flies there. Failure to defend makes it an inside-the-park home run. Ignoring the direction of the director, the catcher threw. The infield hand fails to get lost and the ball rolls to the outfield. Grass and flowers as if they exist to hide the ball.